A consultation has been launched to find out what people think about a document which will help manage and protect the Stonehenge and Avebury World Heritage Site. This consultation is being hosted on behalf of the Stonehenge and Avebury Steering Committees of which Wiltshire Council is a member. The Stonehenge, Avebury and Associated Sites World Heritage Property is one of Wiltshire’s greatest assets. This consultation provides an opportunity for local people, community groups and other organisations to comment on its Statement of Outstanding Universal Value. This Statement sets out formally why Stonehenge and Avebury are internationally important and what qualifies them to appear on the World Heritage List. It also sets out how requirements for management and protection of these qualities are being met. This document is important for the protection of what makes Stonehenge and Avebury internationally significant. It defines the World Heritage Site’s Outstanding Universal Value (OUV). The United Kingdom signed up to protect the OUV of its World Heritage Sites when it ratified the United Nations Educational, Scientific and Cultural Organisation (UNESCO) Convention Concerning the Protection of the World Cultural and Natural Heritage (1972). The planning system has a very important role in this protection. Planning Circular 07/2009 states clearly the need to protect the Outstanding Universal Value of World Heritage Sites, while the guidance accompanying the new Planning Policy 5 on the Protection of the Historic Environment (2010) identifies the Statement of OUV as a critical resource for local planning authorities in plan-making and reaching decisions relating to the significance of World Heritage Sites. The document will also inform all management decisions which should prioritise the protection OUV as defined in the Statement. Your comments on the Statement of OUV could therefore contribute to protecting the very special qualities of Stonehenge and Avebury for this and future generations. Since 2007 UNESCO has required a Statement OUV for all new World Heritage Properties. 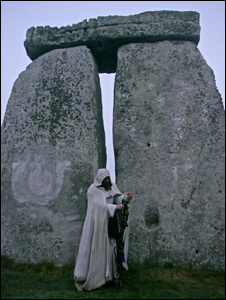 Stonehenge and Avebury were inscribed in 1986. All sites inscribed prior to 2007 are now required to submit retrospectively a Statement of OUV. This must be based on the original reasons for inscription set out in evaluation and decision documents from 1986. The process of producing the Statement of OUV is not an opportunity to change or add to the reasons for inscription but a chance to distil them into a single document which will be key the World Heritage Property’s protection. It is however possible to reflect challenges which have emerged over the last 25 years as well as changes in the management and protection context. The Statement of OUV consists of four sections:The first section, the Statement of Significance, was agreed by UNESCO’s World Heritage Committee in 2008 after a period of consultation and sign off by the Stonehenge and Avebury Steering Groups representing key local and national stakeholders. We would appreciate your comments to assist us in shaping a robust and comprehensive document. Please note comments are sought only on the last three sections: integrity, authenticity and management and protection. The first section, the Statement of Significance, has already been agreed by UNESCO’s World Heritage Committee.